Available in the Market Today! 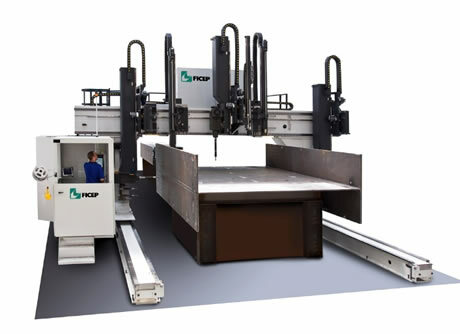 As the drilling applications for structural steel are quite varied, Ficep has developed the most comprehensive product line of 34 different CNC drill line systems in the world today to provide the most productive and cost effective solution for your application. 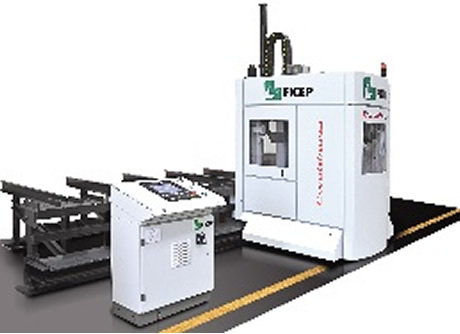 The Ficep drill line systems can be provided as a stand-alone CNC drill line system or in tandem with either a CNC controlled saw or a CNC controlled robotic coping system that is available with both plasma and oxy-fuel. 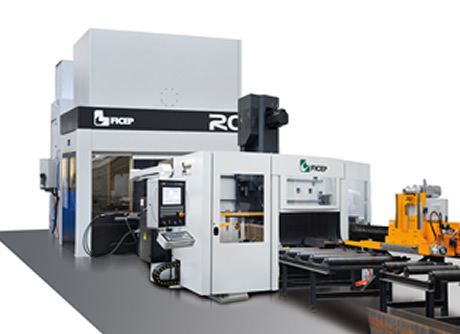 Regardless if your firm requires from a single spindle CNC drill line to a multiple spindle line with up to 18 different tools available, Ficep has the product fit that is ideal for your firm! Having difficulty finding employees for fitting and layout? 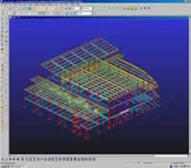 Want to increase the productivity of your layout staff 6 fold? Over 50 years ago beam punch lines were developed to eliminate the requirement to manually layout the hole locations which greatly reduced the amount of manual layout that was required. 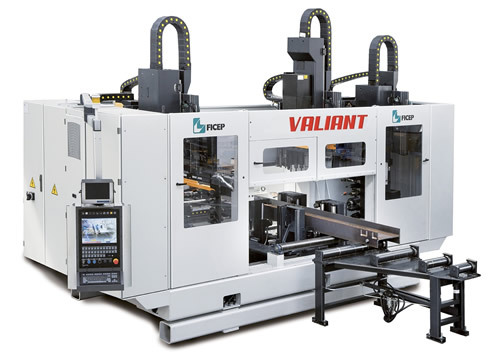 Unfortunately since this development, almost a half of a century ago, nothing else has really changed to reduce the most expensive manual operation a fabricator faces currently. 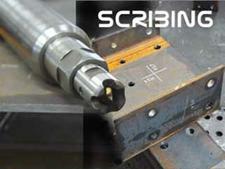 Once the sections are cut to length and the holes are drilled, the process of manual layout was next. 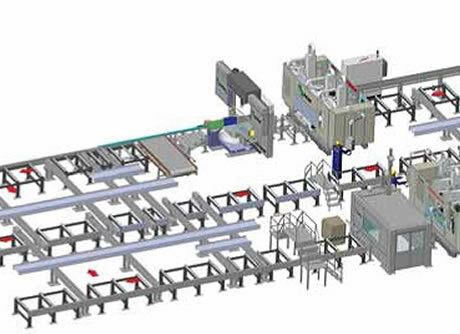 Ficep has introduced and patented (US Patent 7974719 granted7/5/11) the first major enhancement in this process in the past half of a century by automatically bringing in the scribing information that indicates the layout locations for subsequent fitting. 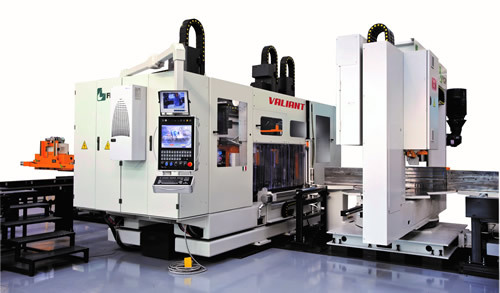 This information can be extracted as a single XML file with our proprietary software that not only generates the part size and hole location data, but it also creates automatically the CNC machine program to scribe all the required layout information on the main member (four sides) and on the detail parts. Once the beam hits the fitting skids, your fitter matches the part number reference on the main member with the same part number on the detail part. The scribing lines indicate the placement location and there is even orientation scribe marks on the plate and the main member so your fitter knows how to orient the part! Existing case studies show that when using this new technology, the amount of manual layout that is required is reduced 6 fold! This latest development from Ficep, the technology leader, gives you the opportunity to not only reduce your man hours per ton but to also greatly increases your tonnage capability as well.